Many foot and ankle injuries result from participation in sports, either from sports-related accidents, repetitive motion of the foot or ankle, or overuse. Dr. Paul Georges at Prime Foot and Ankle Care focuses on not only healing the athlete but improving their endurance and performance through both treatment and prevention. If you suspect a foot or ankle injury resulting from participation in sports, schedule an examination with Dr. Georges today. 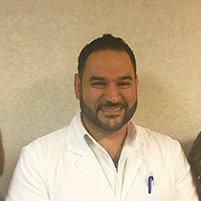 Dr. Georges serves the greater Lowell, Massachusetts area, including Chelmsford, Dracut, Tewksbury, Westford, Billerica, and Tyngsboro. What foot and ankle injuries can result from sports? Ankle sprains are common sports injuries that can occur after sudden impact or twisting of the ankle. Only a qualified doctor can evaluate the seriousness of a sprain and rule out a more serious condition, like a broken bone. If you suspect you may have sprained your foot or ankle, it’s important to be evaluated by a podiatrist before playing sports again. Untreated sprains and fractures can result in long-term instability or other complications. Athletes are at high risk for developing Achilles tendonitis, an inflammation of the tendon that runs down the back of the lower leg and behind the heel. Untreated tendonitis can cause irreversible damage to the tendon and diminish your ability to play sports without pain or risk of further injury. In most cases, tendonitis can be treated conservatively by an experienced podiatrist, empowering you to get back on the court or field sooner and preventing serious complications. Heel pain can be the result of plantar fasciitis – usually caused by faulty foot mechanics – or stress fractures. It can also be the result of wearing shoes that are ill-fitting or not appropriate for the sport in which you’re participating. Dr. Georges can assist you in selecting the right shoes and/or custom orthotics to prevent heel pain and conditions like plantar fasciitis. Plantar fasciitis is an injury that results from repetitive stress in the feet. It affects the strong bands of connective tissue that run from the heel to the base of the toes. It’s characterized by small micro-tears along the band, resulting in pain that can be anything from a dull ache to a sharp stabbing feeling in the sole of the foot. If left untreated, plantar fasciitis can last for months or even years. Can athletic foot injuries be prevented? Many injuries can be prevented by working with a podiatrist before injury occurs. Dr. Georges can fit patients with custom orthotics designed to align their feet for optimal performance and protection.